Sarah Koch has always known that she wanted to be a teacher. She often played ‘school’ in the basement with her siblings and friends or helped out in her parents’ classrooms as a kid. She would even willfully assist her mother with grading papers at home in the evenings. As she grew older, her desire to be an educator grew stronger. 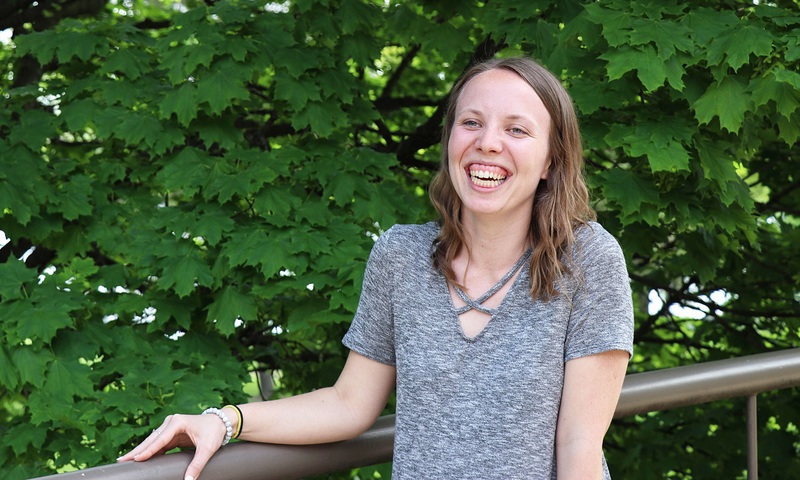 Sarah, a Fort Wayne, Indiana native, became a tutor in high school and chose to study at Concordia University Ann Arbor with the specific goal to become a Lutheran educator. Sarah’s dream of becoming a teacher and using her gifts and talents in the service of others will be realized as she crosses the commencement stage at CUAA’s graduation celebration on Sunday, May 20, 2018. 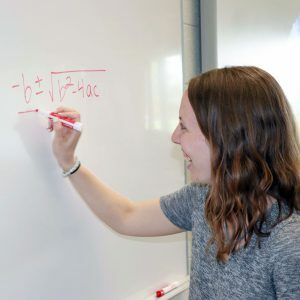 “I know that I still have a lot to learn, but it’s exciting to me more than it is intimidating,” said Sarah, whose major is in special education and minor is in mathematics. Sarah comes from a family of educators. Both of her parents and older brothers are teachers, and her fiancé also graduated this spring with a degree in special education. The Koch family will often bounce ideas off of one another or ask questions and provide classroom solutions in the family group chat. While she has always been certain about her career path, it was her experience as a junior servant at Camp Lutherhaven during their disabilities week that she was first exposed to anyone with special needs. Sarah recently completed her student teaching semester at Concordia Lutheran School in Fort Wayne and accepted a call as the resource room teacher at St. John Lutheran School in Kendallville, Indiana through Lutheran Special Education Ministries. Sarah says there’s plenty she will miss about Concordia: having Chris from Sodexo make her special turkey sandwiches each day for lunch in the café, hearing Campus Pastor Ryan Peterson address her daily by her Twitter handle name ‘@whats_KOCH_ing,’ watching the sun rise and set from the Concordia docks, and pulling all-nighters in the library and Cardinals Nest. She’s eager, however, for her next chapter to help students not only develop in what they know, but in who they are. Follow along with CUAA’s commencement celebration using #CUAAgrad18 on Twitter and Facebook.